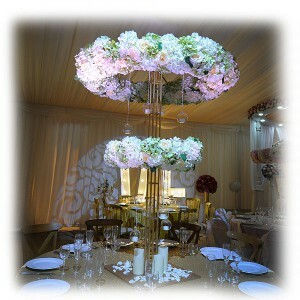 If you are looking for stunning floral table centrepieces for your upcoming wedding, then look no further than the range of table centrepieces for hire here at Event Hire UK. 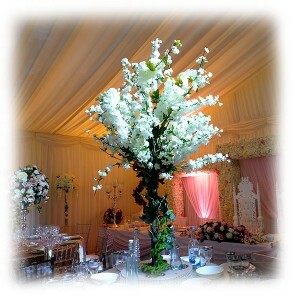 Catering for any type of wedding, from lavish Asian weddings and luxury English weddings, our range of floral centrepieces has something for everyone. 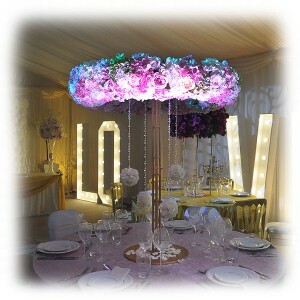 Ultimately, these designs from our creative team provide splashes of colour, style in abundance and a real talking point for you and your wedding guests. 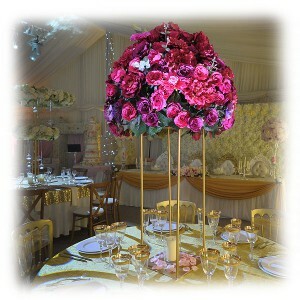 Made from false flowers, you can hire table centrepieces in the quantities you need as part of our table decoration section here online at Event Hire UK. 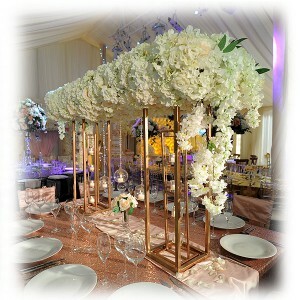 In turn, our table decorations section is part of our wider furniture hire section, where we aim to bring you the complete selection of everything you need when it comes to not just wedding furniture, but almost any type of event furniture you are looking for. 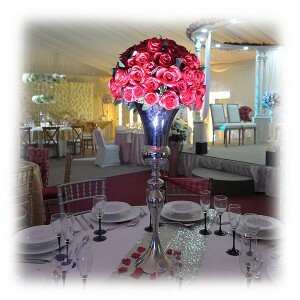 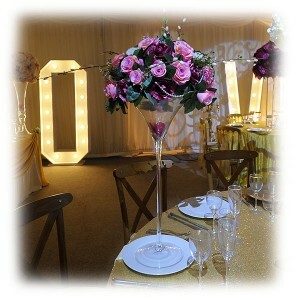 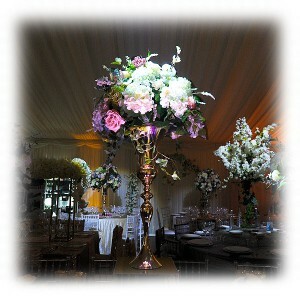 Our expert sales team are on hand ready to assist you with all your wedding requirements, so why not contact us today.